Evernote is one of the best productivity tools on the web. They bill themselves as the global platform for human memory. At least they limit themselves to humans. Whew. In short, Evernote is a simple and elegant solution for capturing all the elements of data you encounter and need to store for potential future recall. Physicians are inundated with information more than any other professional and Evernote can help. That’s just a sample list based on the primary ways in which I use the product. It gets better…while you can sort of do all those with your file folders on your computer, Evernote stores things so they are available from any browser and virtually any device you might use (except a crappy old flip phone if that’s still in your repertoire). Further, the way in which the tool helps collect and organize your objects is far more elegant than the built in file/folder structure on computers…oh, and there is powerful search using tags and even recognition of words from handwritten materials. 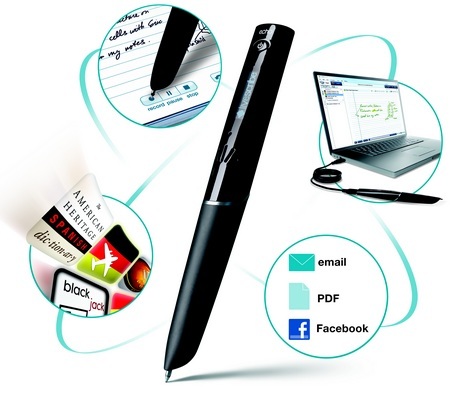 Previously I wrote about my LiveScribe Echo pen….Evernote is the perfect compliment. It’s the chocolate to Livescribe’s peanut butter. LiveScribe files sync straight up to my Evernote account and make sure the results and not the tools or process remain the focus. Last, I want to address the difference between Evernote and virtual hard drives like Amazon’s CloudDrive, Box.net or DropBox. Both categories of services specialize in keeping a given set of data in sync across multiple machines…they are virtual hard drives. If you were inclined, and your time is not worth much, you could make Evernote into a kind of a Dropbox or Dropbox into a kind of an Evernote. However, the differences are what make each designed for a specific job and I’m an advocate of using the right tool for the job versus spending your time monkeying around. Dropbox’s focus is files. It’s also great for file sharing using the public directory. (It allows large file sharing – over 50mb – Evernote does not). 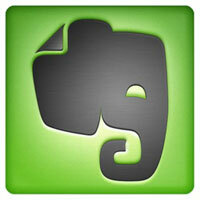 Evernote focuses primarily in textual and image content. Evernote allows more versatile and customizable organization in the forms of notebooks and tags (instead of just nested directories). To summarize, I use DropBox to store my bulk files and I use Evernote to store materials I need to search, recall or use on a periodic basis. Those are just a few of the differences. The reality is these tools can be used differently depending on your needs, work habits. I suggest you create an Evernote account and commit to using it for a few weeks. See if you have any desire to go back to file/folder structures on your computer after that.